Every environmental scientist learns, early in their career, that the systems of the Arctic - ecological, physical, chemical, atmospheric - are unique, and are globally significant. Whether it's understanding how the polar vortex affects lower latitude weather, or how sea ice dynamics affect and are affected by climate change, or how Arctic ecosystems adapt to changing conditions in the Pacific and Atlantic, the scientific challenges are extremely important and quite daunting. As with any science, the key to developing answers lies in asking the right questions and collecting the right data. So, our ability to gather environmental intelligence about the Arctic is critical, not just to enhancing our understanding of that region, but also to completing the puzzle that we must solve to be able to make predictions about the whole Earth system. NOAA's Arctic mission is unique in several ways. First, we have a responsibility for providing key predictions and projections. These products serve an extraordinarily diverse array of applications: sustainably managing our nation's marine fisheries, defining and managing our natural resources in the Exclusive Economic Zone, supporting maritime shipping and transportation, ensuring the safety of aviation. Secondly, we have a mandate as a steward of natural resources to respond to natural and man-made hazards. And finally, we are unique in our engagement with states and tribes in ensuring the best possible management of our nation's coastal zones. Couple these with our extensive on-the-ground presence in the Alaskan Arctic, and you can clearly see the unique nature of our mission. In addition to the obvious challenges of operating in a physically challenging environment, we face a number of additional hurdles. As important as the Arctic is to the American environment, society and economy, it is often not considered first in the priorities for investment of research and operational resources. It is incumbent on NOAA to continue making the important arguments about the relevance and value of Arctic research and operations. Part of this argument includes engagement with our diverse domestic and international partners. The Arctic nations are important collaborators in our research, and here, perhaps more than any other region, we must ensure that our plans and programs are well-discussed in an international context. I had the distinct pleasure of taking a trip to the North Slope, including Barrow, in January of 2015. Dave Kennedy, Craig McLean, Jen Pizza, and I took the opportunity to visit our NOAA team there and to meet with many of the locals as well. We were treated to dinner with the mayor (where I tasted muktuk for the first time) and we learned, first-hand, about the challenges being faced by the local fishing and whaling communities. We heard their concerns about climate change, and their hopes for support from the research community. It's easy to become disconnected from the impacts of our science, but that trip brought to light for me the real reasons why we must maintain strong programs in the Arctic. 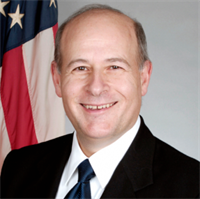 Learn more about Dr. Spinrad at noaa.gov.